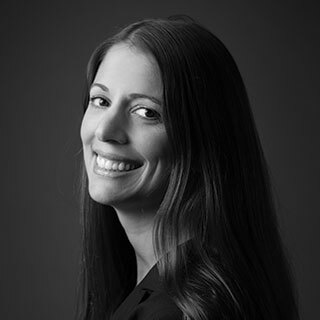 Tamara Vitagliano is an Associate Director and manages FRA’s global Processing team. She has 15 years of experience in forensic accounting, litigation and fraud investigation, financial services, public accounting, internal investigations and eDiscovery. Prior to joining FRA, Tamara was a Senior Manager of internal investigations at Fidelity Investments, where she was responsible for coordinating and managing a wide variety of inquiries, ranging from risk analyses and compliance violations, to fraud and insider trading. Previously Tamara worked at BDO Consulting as a Manager in their Litigation and Fraud Investigation Practice, where she managed and supervised numerous investigations into insider trading and investment fraud, advised counsel on litigation matters, managed eDiscovery and computer forensics projects, and conducted anti-money laundering compliance risk reviews for Latin American clients. Tamara is a Relativity Certified User (RCU), Certified Public Accountant (CPA), Certified Fraud Examiner (CFE), Certified Anti-Money Laundering Specialist (CAMS), and is Certified in Financial Forensics (CFF). Tamara earned her Executive MBA from Boston University’s Questrom School of Management, and has a Bachelor of Science undergraduate degree in Accounting with minors in Computer Information Systems and Spanish. She is fluent in Spanish. Tamara is based in FRA’s Washington DC office.